Gurney's Seed Starting Kit | Gurney's Seed & Nursery Co. The Simplest Method for Superior Seedlings! Gurney's complete Seed Starting Kit allows you to quickly, easily and successfully start all kinds of seeds. Each kit contains everything you need for fast germination and vital root growth. 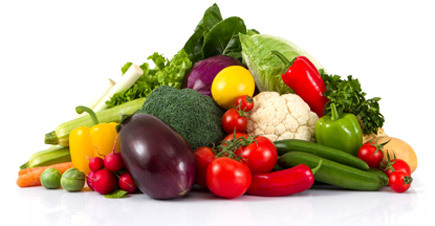 Grow Plugs are the easiest & best seed starting method we've ever found! 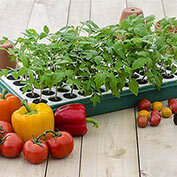 Soil-less Grow Plugs are made of natural, biodegradable materials so that each plug can be directly transplanted into the garden greatly reducing transplant shock. Pre-formed holes in each plug allow for easy planting of each seed, with no need to fuss with messy potting soil, or covering your seeds. Our Grow Plugs contain beneficial bacteria to aid in maximum seed germination and consistently out-perform alternative growing media in trials. 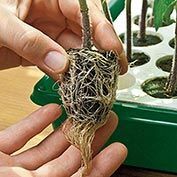 Ideal growing environment promotes healthy root development-which equals healthy, happy plants! 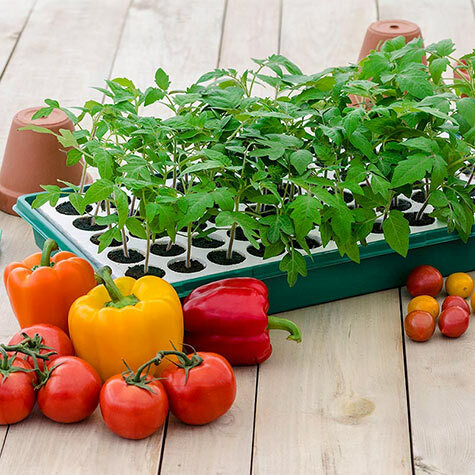 The lightweight Styrofoam Growing Tray wraps each Grow Plug in warmth and floats them in the water-filled Reservoir Tray, allowing each seedling to take in the proper amount of water for its needs. Optimum water-to-air ratio aids in healthy root development and prevents common water molds and diseases. Humidity Dome holds in warmth and moisture to ensure early, uniform germination of seeds. 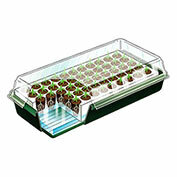 As young seedlings grow, they benefit from the light filtered through the transparent lid. NEW! Seedling Boost Fertilizer ensures healthy cell wall development and compact growth. Contains the perfect blend of calcium, magnesium and nitrogen for seedlings. Each Seed Starting Kit Includes: 1 Water Reservoir Tray, Grow Plugs, 1 Humidity Dome (not pictured), 1 Seedling Boost Fertilizer and 1 Growing Tray.